Spray goes a long way. For most Americans, their experiences with bidets are limited to dares made on study abroad trips, but believe it or not, they’re more than a drinking fountain for the drunkest guy in the room and they have some serious benefits. So saddle up – seriously, the word comes from the French word bider, meaning straddle as if you’re riding a pony – and let’s take a dive into one of Europe’s most-talked-about appliances. 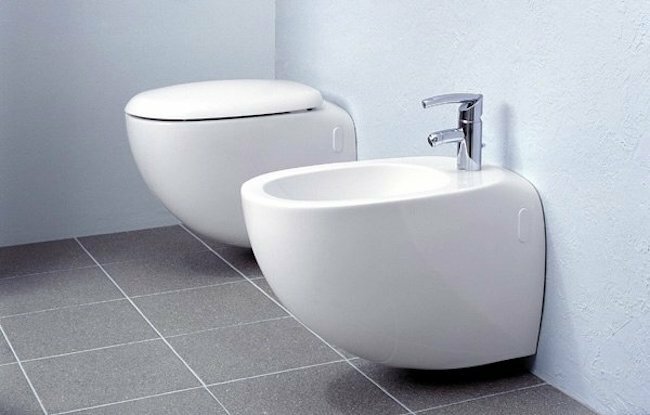 As far as the history of it all, no exact origin can be traced, but historians think the first bidets were invented by French furniture makers around the late 17th century and have cited written references to the tool in 1726. By 1900, it was commonplace in French palaces and as modern plumbing became available the bidet became a staple of many European households. In 1965, the American Bidet Company offered the ‘adjustable spray nozzle’ and a warm water option. By the early 1980s, the Japanese took to engineering electric forms of the sanitary device and now we’re blessed with bidets that have instant heating water and even night lights. We’ve all eaten a meal that’s tested the fortitude of our GI tract, and people who are mobility challenged are no exception. The only thing is, it’s much more laborious for someone who uses a wheelchair to take a shower after such an episode. Stop giggling or grimacing, this is a fact of life. And for someone who is mobility impaired, it’s the little things and small adjustments to life that empower them into doing whatever they want to do. This is also why they’re commonly used in hospitals. Maya Angelou once said, “people will forget what you said, people will forget what you did, but people will never forget how you made them feel”, and for many people, using a bidet makes them feel clean (and they are). There’s something to be said about that. Americans use 36.5 billion rolls of toilet paper and according to Scientific American, if we switched to bidets we could save approximately 15 million trees. But what about the extra water used by these water sharpshooters? Well, there’s a lot of water and electricity that goes into manufacturing, especially toilet paper – 473,587,500,000 gallons to be exact. Not to mention 253,000 tons of chlorine for bleaching all those fluffy white sheets of softness. Coco bidets, a manufacturer of bidets, says that the average bidet cleaning session uses approximately 1/8th of a gallon, whereas treehugger.com reports that a roll of toilet paper requires 37 gallons to produce. When you do the math, the bidet offers 296 sessions (just think how many sheets of paper you use each time you could’ve had a ‘session’) for the same amount of water used to produce a roll, and there’s no paper or bleach needed. So if you’re serious about going green, the winner is clear – get a bidet! What are your thoughts? Have you ever tried one of those add-on bidets? Let us know how it went in the comments below! Here what to do if you have a flooded basement!